Lauren Scharhag: Frida Kahlo: "I paint my own reality." 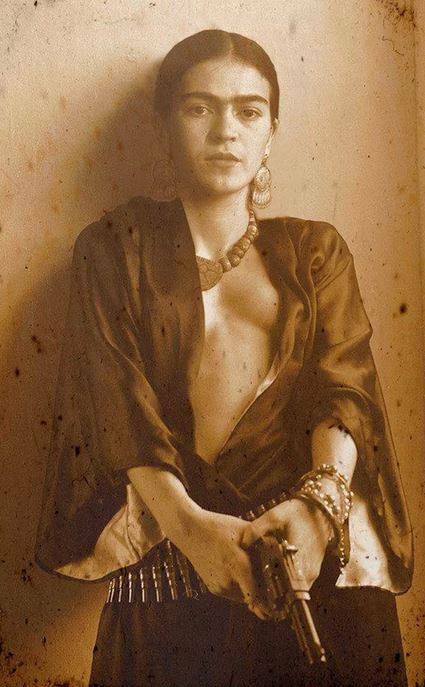 Frida Kahlo: "I paint my own reality." Recently, some friends and I made a pilgrimage to the Mexican art exhibit at the Nelson-Atkins Museum of Art, featuring Frida Kahlo and Diego Rivera. And “pilgrimage” is the word I want. The group I went with consisted mostly of women, though there were a few men (my husband, Patrick, among them), and we approached Frida’s work with the sort of adoration that borders on holy. I mean, when you hear Frida’s in town, what else do you do but put on every piece of jewelry you own, weave flowers into your hair, and go pay homage? Every woman there had a story to tell in how she had been powerfully inspired by Frida’s work—and, more importantly, every woman there had a story as to how she related to Frida personally. Her work has moved us to make a passionate study of art, both academically and independently. Her work moves us to create—artists and writers, all of us. 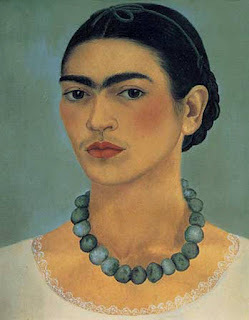 Like Frida, some of us have suffered chronic health problems and pain from an early age. 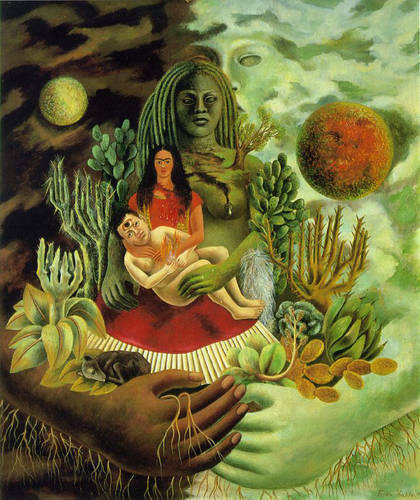 Like Frida, some of us are unable to bear children, so our art must become our children. I share in many of these experiences. 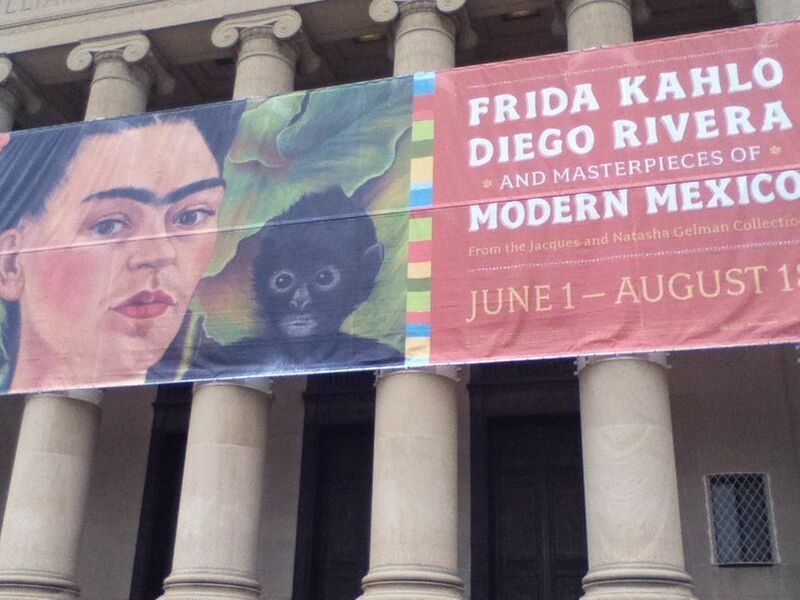 I also have the distinction of being German-Mexican, so I feel that particular kinship with Ms. Kahlo. As we gathered around her self-portraits, many of us fought back tears. Photos and reproductions we’d seen of Frida’s work had given us an idea of how moving it is, but nothing can really prepare you for that dark gaze. Her eyes blaze out at us from her many self-portraits, so alive, so expressive, you half-expect her to turn her head and blink, to speak to us from across the decades, imparting the secrets of love, life and creation. And, in a way, she does: The Love Embrace of the Universe, the Earth, Mexico, Diego, Me and Señor Xolotl manages to depict a universe in balance, in harmony. Darkness and light. Masculine and feminine. Mother and child. Heaven and earth. Real and surreal. "I love you more than my own skin." Mother, sister, muse, lover, friend. Kind, intelligent, peaceful, ferocious, devious, dangerous. Givers and takers. Feelers of feelings, desirers and desirable. We are her. She is us. The Order of the Four Sons, Book I - Now FREE!